Do you like Quad Trials? Share it with your friends. 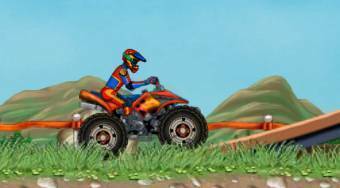 This great racing flash game "Quad Trials" will surely please all fans of four-wheelers. Play the role of a race car driver, who wants to win one of the most difficult championships of four-wheelers in the world.